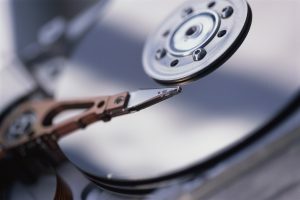 A hard disk drive is a data storage device used for storing and retrieving digital information using rapidly rotating disks (platters) coated with magnetic material. An Hard disk drive retains its data even when powered off. Data is read in a random-access manner, meaning individual blocks of data can be stored or retrieved in any order rather than sequentially. Our institute provide data recovery training as well as recover all types of hard disk .It also provides logical and physical data recovery course. We can recover data from any type of drives, whether it's internal or external, 2.5 inch or 3.5 inch, PATA os SSD or SSD's, with any type of crash - including the classic Logical or Physical crashes. We recover data from faulty Hard Drives, External Hard Drives, Laptop and Desktop computer hard drives. We specialize in the recovery and restoration of data files and folders from failed and crashed Server, NAS and RAID configured systems.